You are at:Home»Posts Tagged "Kimberley Kampers"
Kimberley Kampers was/is one of Australia’s most desirable camper trailer builders. First built in 1996, the product has always been cutting edge, focussed on off-road, off-grid travel for people who don’t want to rely on modern caravan parks or even basic campsites. The company was closed down in July 2018 however was resurrected in September 2018. The most recent Kimberley Kampers built are all fitted with independent, pneumatic suspension, lithium batteries, Australian-made, Aussie canvas tents and some of the most advanced electrical systems available. They were all built in Ballina alongside the company’s high-tech off-road caravans, hybrid campers and Unimog expedition vehicles. 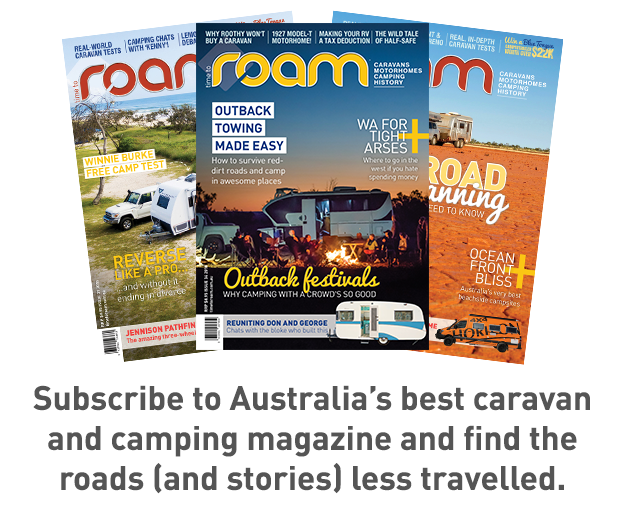 Camper Trailer Review is brought to you by the same people who bring you ROAM – Australia’s only magazine dedicated to the best caravanning stories, vintage caravanning and the latest reviews and advice. Check it out here, or subscribe.